10 Fast Facts About the 15th President of Gettysburg College, Robert Iuliano | The Gettysburgian. On Wednesday afternoon, Jan. 30, the Presidential Search Committee announced its selection for the 15th President of Gettysburg College, Robert W. Iuliano. 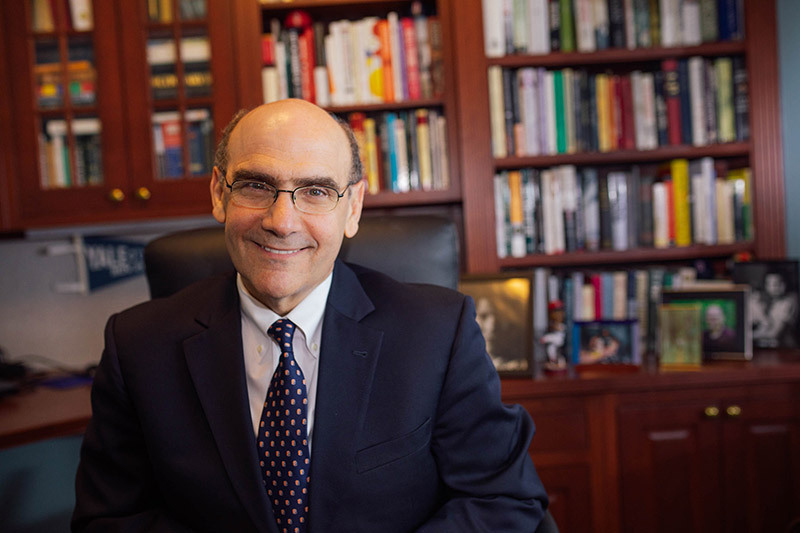 Iuliano, who currently serves as Senior Vice President and General Counsel, Deputy to the President of Harvard University, will take over for President Janet Morgan Riggs ’77 on July 1, 2019. 1. His name is Italian. Of Italian origin, the surname Iuliano is pronounced phonetically as YULE-ee-ah-no. 2. He grew up in Massachusetts. Iuliano grew up in Watertown, Massachusetts, was the captain of his high school football team, and also wrestled while in high school. 3. He went to Harvard. Iuliano received his bachelor’s degree in government from Harvard College in 1983. While in college, he interned for Speaker of the House Tip O’Neill. His senior honors thesis was entitled “How Coalitions are Built in Congress.” After college, he attended the University of Virginia School of Law, where he served as Editor-in-Chief of the Virginia Law Review. Iuliano clerked for the Honorable Levin H. Campbell of the United States Court of Appeals for the First Circuit. He went on to work in the labor and litigation departments of the Boston law firm Choate, Hall & Stewart. Iuliano also served as an Assistant United States Attorney with the Organized Crime Drug Enforcement Task Force in Boston and prosecuted violations of federal gun, drug, and money laundering laws before returning to Harvard as an attorney. 5. He has a wife and two kids. Iuliano’s wife of 30 years, Susan Iuliano received her B.A. from Yale in religious studies and political science and went on to receive her J.D. from the University of Texas School of Law. She worked in Massachusetts as a clerk for federal appeals court judge and an attorney, and then went on to teach at the New England School of Law as an adjunct faculty member. She has served for 13 years as a Trustee for the Sudbury Foundation, a private, philanthropic organization based in Sudbury, MA, home of the Iuliano’s, that awards grants and scholarships to the community. The Iuliano’s have two sons, Jeff and Ben. Jeff is currently pursuing his PhD at Johns Hopkins University in astrophysics. Ben recently graduated from Harvard University in comparative religion and is currently working for a video game company. 6. He returned to Harvard in 1994. Iuliano has worked in Harvard’s Office of the General Counsel (OGC) since 1994. During his tenure in the OGC, Iuliano worked to develop and improve programs of campus life at the college. Since his initial appointment, he received promotions to Deputy General Counsel, General Counsel, Senior Vice President, and Deputy to the President. In March of 2012, he played an integral role in Harvard’s reinstatement of an Army Reserve Officers Training Corps (ROTC) program that had been suspended for four decades after Vietnam War era protests. 7. He has played a role in a pending lawsuit against Harvard alleging racial bias in admissions. As Harvard’s General Counsel, Iuliano has played a central role in defending the institution’s admissions practices in federal court. A lawsuit filed by Students for Fair Admissions alleges that Asian-Americans are forced to meet a higher bar than other applicants. While a judge has not yet ruled, the case could affect the ongoing legality of affirmative action. 8. He oversaw the Harvard University Police Department. In his role as Senior Vice President & General Counsel, Iuliano oversaw the Harvard University Police Department, which, unlike the Gettysburg Department of Public Safety, is a sworn law enforcement agency. In that capacity, he helped to successfully defend the University from a lawsuit filed by The Harvard Crimson that sought access to expanded police records including incident reports and medical information. 10. He was heavily involved in Harvard’s finances. While at Harvard, Iuliano was involved in all aspects of the University’s financial standings, including tuition, financial aid, and the University’s endowment. In 2018, Harvard concluded a capital campaign that brought in $9.6 billion. For comparison, Gettysburg recently concluded a campaign that brought in $160 million. Staff Writer Phoebe Doscher contributed to this report.